Hello and happy Friday! I’m back for another edition of favorites today! It was a productive week at home! You may have seen on Instagram that my office closet is officially cleaned out and organized and there’s oh so much space, I love it! I also cleaned out the playroom this week, and boy was that a HUGE job. 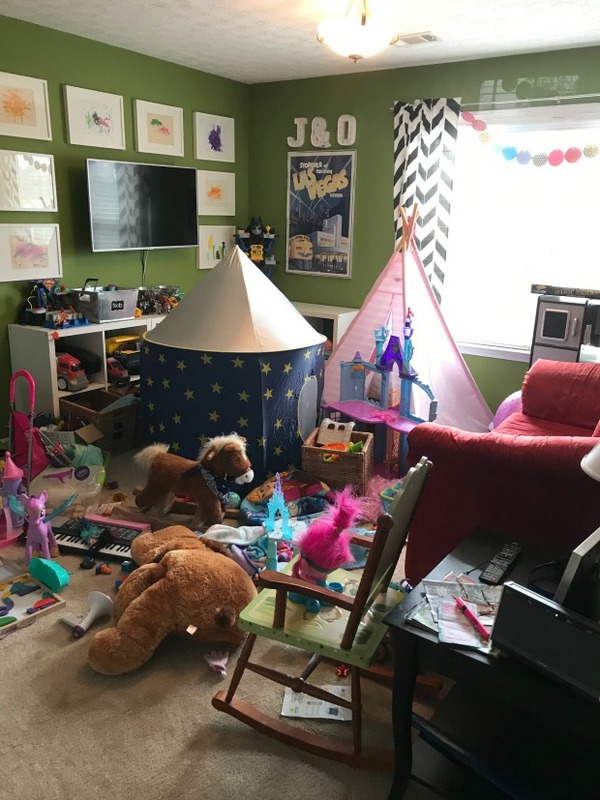 Since I knew I was going to be cleaning it out soon I hadn’t made the kids clean it recently so, friends, it was a HOT MESS. HOT. I managed to get everything cleaned out, reorganized, and we now have three trash bags of toys for our yard sale this spring. The kids were all up in my grill trying to see what I was getting rid of, so it was tough at times, but thankfully I was able to do most of the purging while they were at school. I don’t think it would have ever worked while they were at home. And here it is after! I still have a few little projects for this room, so it's not totally done, but it's getting there. I still have to sort that pile of junk in the middle of the floor and relabel some of the baskets. I am also debating getting rid of the play kitchen because the kids never touch it. Aaaand we still have to figure out where to put the other tent that we have. Each of the kids have one and they use them all the time so we don't need to get rid of them, but I have no clue where to put them! I'm thinking of rearranging a couple of things to make more room, but that will have to wait until after spring break! 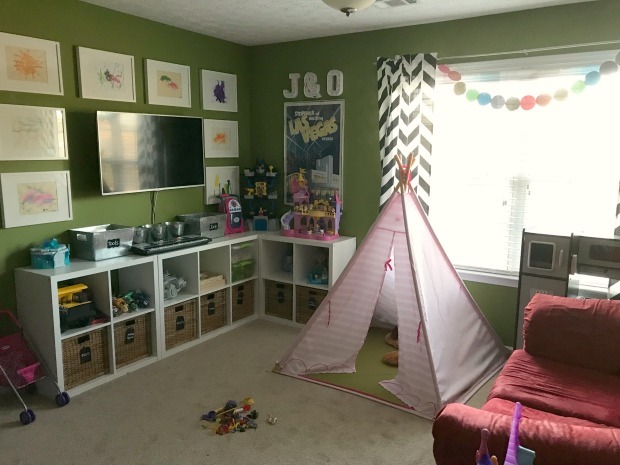 Anyway, that’s four rooms mostly done – my office (even though I’m still not totally done with it… I still have several projects to do), Jacob’s bedroom, Olivia’s bedroom, and the playroom – and I still have the rest of the house to go! I’ll probably start on my master closet next. That oughtta be fun! As always, follow along with me in real time on Instagram stories! 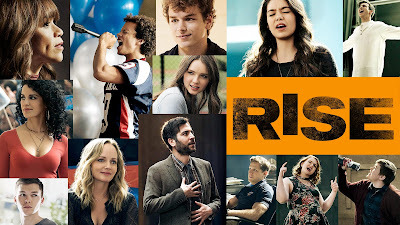 Has anybody watched Rise these last two weeks yet? It stars Josh Radnor who played Ted on How I Met Your Mother and they’ve been showing previews for it for months. Because it’s from the producer of two of my favorite shows of all-time (Parenthood and Friday Night Lights) I knew I’d have to give it a shot. So far it has not disappointed. I’m hoping it’s going to turn out to be another great show! 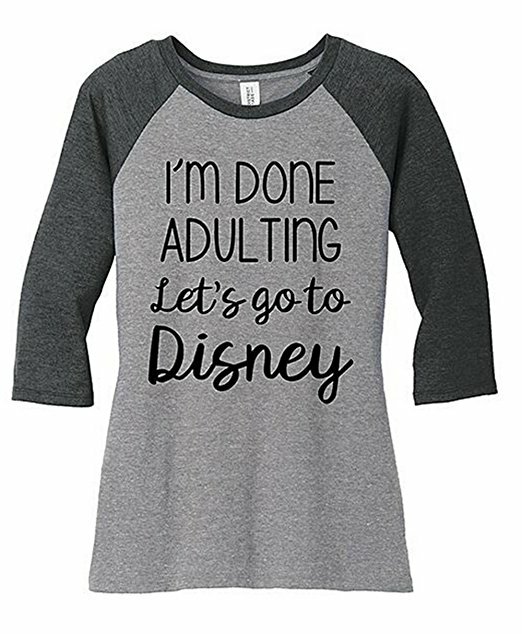 My girl Marie posted about some great things that you can find for your Disney trip on Amazon, and I had to contain myself so I wouldn’t go crazy. 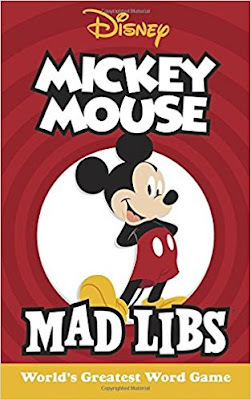 I did pick up this Disney themed Mad Libs for the car, though! Jacob is completely obsessed with Mad Libs and I thought that would be something fun and hilarious for the whole family to do in the car on the way there! Marie also posted about this top and I couldn’t not get it! I have two Disney themed shirts for our trip but had been debating a third, and when I saw this one on Amazon with free two-day shipping and a pretty decent price, I had to have it! I’ve been so good about not shopping since I left my job, so I figured it wouldn’t hurt to grab a shirt for our special trip! F I V E – DISNEY WORLD! And speaking of Disney World, the time has come and our trip is almost here! We have already arranged for house sitters (we always like to have people stay at our house when we travel so someone can stay with Maui and keep an eye on the house), our bags are mostly packed, and our excitement level is through the roof! We are all so excited to go to the happiest place on earth! You can follow along with us on Instagram stories! Happy happy weekend and cheers to spring break! Wow! The playroom looks phenomenal! Thank you! Just a few more things to do and it will be done! 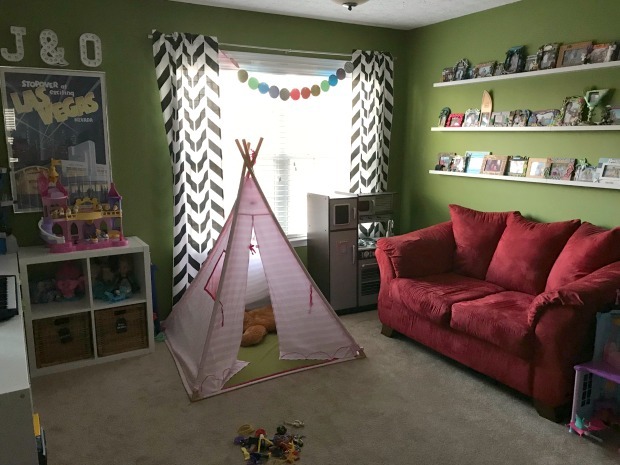 It's crazy how much you have been able to get rid of - the playroom looks great! Have SO MUCH FUN on your trip! I can't wait to follow along and live vicariously through you guys, haha! You did an awesome job on the playroom!! I get hearts in my eyes whenever I see trash bags full of stuff to get rid of! I love Ted from How I Met Your Mother! I wish we started watching that show, maybe we can catch up. YAY FOR DISNEY!!!!!!!!!!!!!!! My friend was just telling me yesterday I should watch Rise! Have a great time at Disney!! I have loved following along with your organizing! I can't wait to follow along with your Disney trip. Have the best time! I want to watch Rise but I keep missing it. I need to catch up. Have fun in Disney!!!! Can't wait to keep up! And we almost started watching Rise, but I just can't add another show haha!!! Maybe I'll catch up this summer! I am sooo excited for your trip. You guys are going to have the best time. I love the shirt that you got. So perfect. 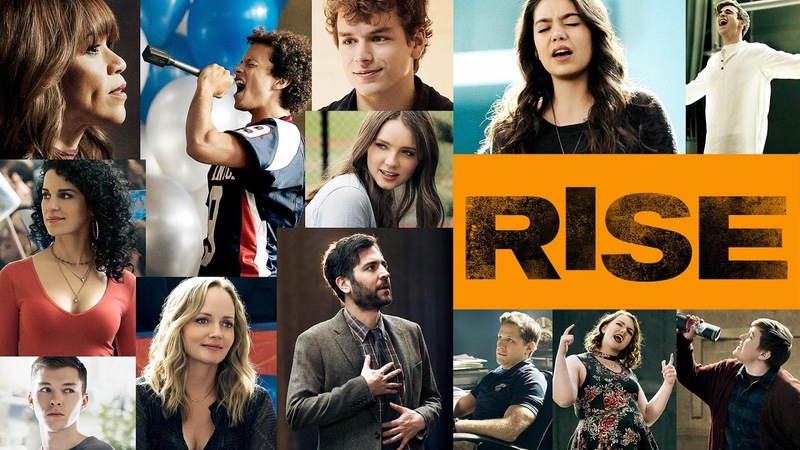 I really want to check out Rise. I love Parenthood, so I definitely need to see this one. I'm still loving following along with your simplifying journey! Good luck with your closet - I think growing up with little money and keeping clothes forever made my closet the hardest thing for me to do! I LOVED madlibs when I was younger! My sister and I did them for like half our flight from MD to CO many years ago! I'm loving all your organization posts sooo much! I've been trying to secretly get rid of stuff, too. Man it feels so good! Also, thanks again for the shout out! Ahhhh! You're so sweet! I can't wait to read about all your Disney adventures!!! As Jon and I say, "Disney doesn't get you, you go get Disney!" Enjoy every magical moment, girl!